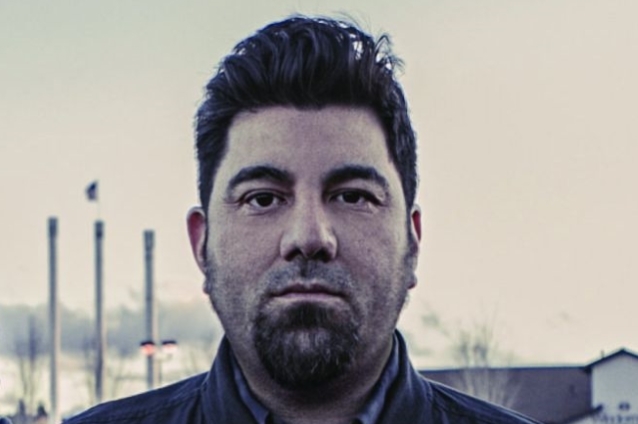 According to Deadline, DEFTONES frontman Chino Moreno served as the composer for the first of two new installments of Hulu's "Into The Dark" horror event series from Blumhouse Television. The April Fools' Day-themed "I'm Just F*cking With You" will premiere on Friday, April 5. Executive produced by Jason Blum ("Paranormal Activity"), "Into The Dark" is a monthly horror anthology featuring 12 super-sized episodes inspired by a holiday. "I'm Just F*cking With You" tells the story of a man and his sister on the way to a family wedding, who endure a night of increasingly frightening practical jokes during a one-night stay at a secluded motel. It stars Keir O'Donnell ("Wedding Crashers"), Hayes MacArthur ("Angie Tribeca") and Jessica McNamee ("The Meg"). "Into The Dark" has been recognized as Hulu's version of "Black Mirror", the sci-fi anthology series on Netflix.